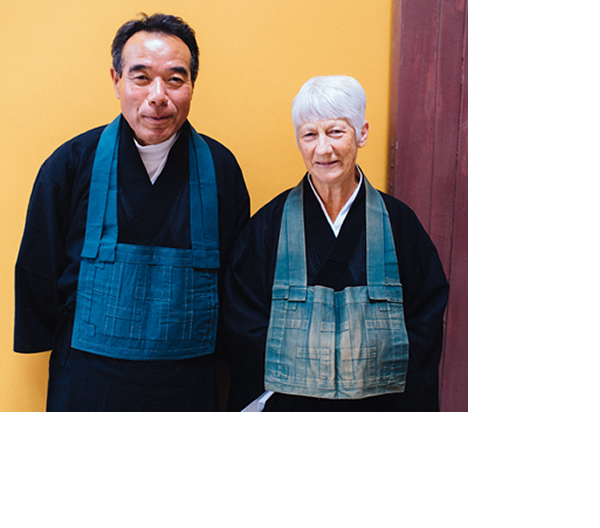 Due to the Jikishoan 52nd Retreat, the Sanzenkai (meditation) schedules will change as follows: NO Sunday Sanzenkai on Sunday 21 August – resumes 28 August. NO Thursday Sanzenkai on 25 August – resumes 1 September. 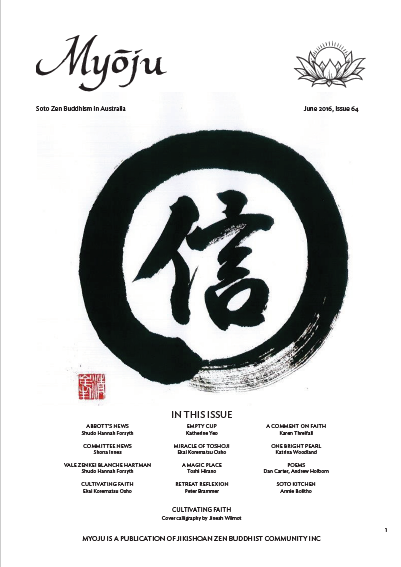 The June 2016 edition of Myoju is now available. 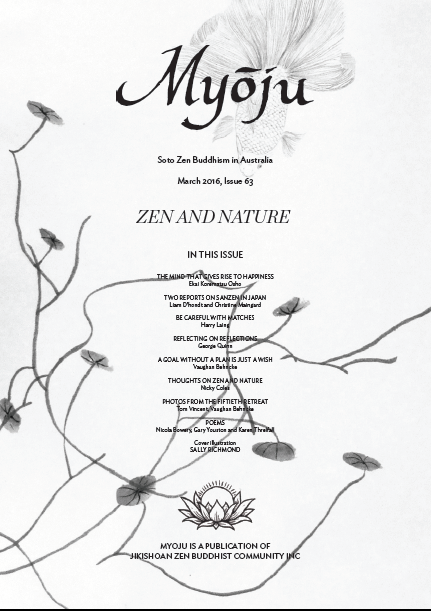 This issue of Myoju is the first of several issues with the theme Cultivating Faith. Main Course A (MCA) is a vital base where transformative learning, experience and cultivation takes place for everyone. 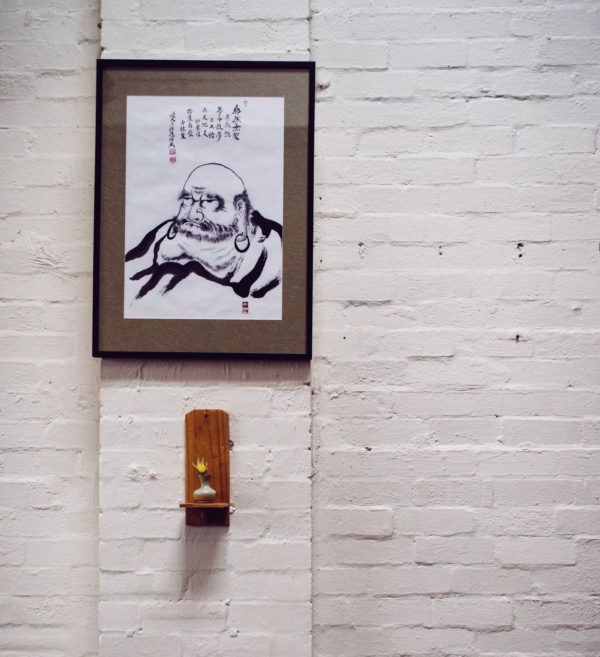 Each term comprises 10 x 2-hour classes of meditation, tea ceremony and in-class discussion. Term 3 commences on Saturday, July 9 (A1 and A2), and on Wednesday, July 13 (A3). Saturday morning classes are held in Footscray. Wednesday and Saturday evening classes are held in Brunswick. 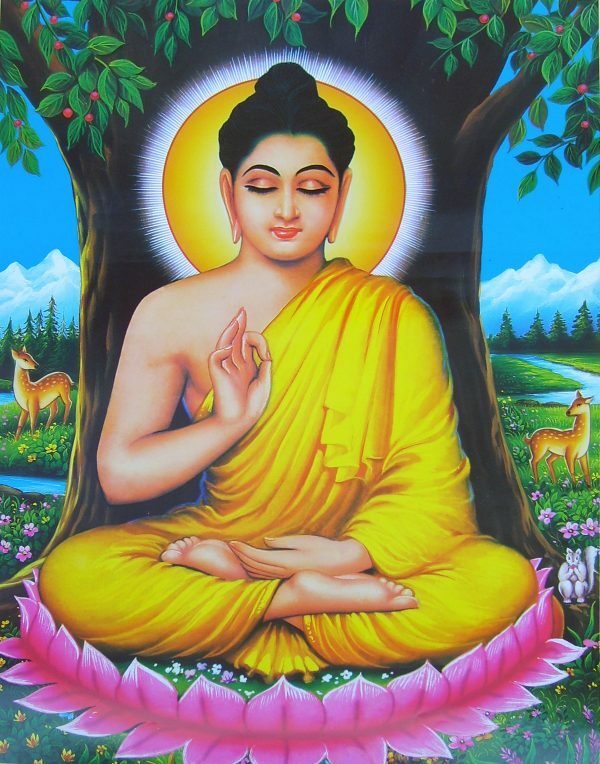 More information is available on the Integrated Buddhist Studies page. We had a wonderful time celebrating Jikishoan’s seventeenth birthday! 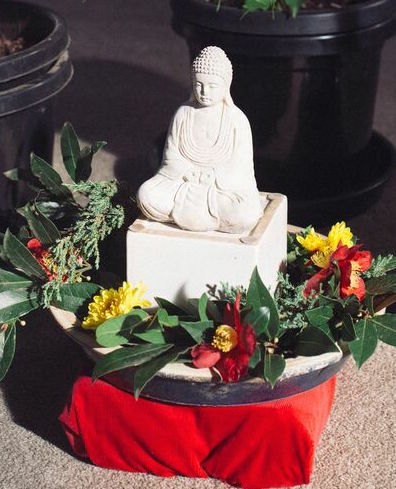 We celebrated with practice (meditation and chanting), a silent auction to raise money for our building fund, yummy food for lunch, wonderful entertainment provided by our members and a very special Shuso (Head Student) ceremony. There are still places available for One Day Workshop #2 on April 10. Term 1 of Main Course A will be finishing in a week’s time; ie. on April 9. Term 2 of Main Course A will be starting on Saturday, April 23. If you wish to apply, please submit your application form as soon as possible. Please refer to the IBS page for the application or contact Katherine Yeo at A-course@jikishoan.org.au.